Little tots love creepin’, crawlin’ and sleepin’ in our super comfy, 100% cotton jersey knit Infant Creeper. Three-snap bottom for easy changes. Double needle ribbed binding for a perfect fit and to prevent leaks. ALL SIZES ARE AVAILABLE. Have your wee baby display their Scottish heritage in our super comfy, 100% cotton jersey knit infant creeper. Three-snap bottom for easy changes. Double needle ribbed binding for a perfect fit and to prevent leaks. A great gift for that newborn! 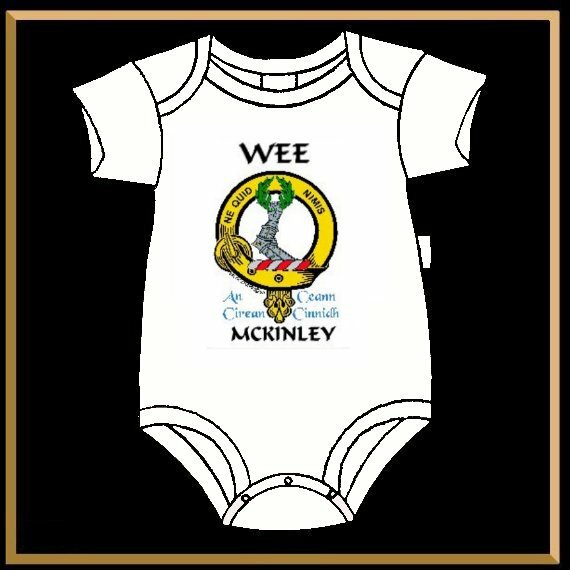 Available in all sizes and for EVERY Clan.